So, what film will be on everyone’s lips heading into December? That’s easy: Rogue One: A Star Wars Story (out on December 14), but you’ll have to wait for our next issue to find out more. Ahead of that, three films will be puckering up on the billboards from December 1, and judging by most of the reviews – their praise isn’t lip service. Side-by-side, their movie posters could not be more lippy. Sporting quite possibly the most iconic pair in history, we’ve got the latest in a long line of documentaries about the world’s favourite ageing band, the Rolling Stones, who remarkably (partly due to the quality of the drugs they’ve been able to afford) continue to defy the odds; lip-shaped alien spaceships (undeniably elliptic) – a smile or a frown depending on your navigation point; while Billy Bob Thornton has clearly been at the cherry brandy again and/or visited Mary Christmas at the wrong time of the month again. I remember really liking the 2001 TV documentary Being Mick. I didn’t realise it at the time, or until I just looked it up, that it was the work of Kevin MacDonald, the Oscar-winning director of One Day in September, whose following film, Touching the Void, is one of the most enthralling documentaries you’re ever likely to see. Being Mick, though, is also worth seeking out – it’s the alone time many of us secretly crave when we watch Stones documentaries and have to put up with the rest of them. It’s a reminder of the reverence we should all feel for one of music’s true originals, and the scene in which he’s confused by the twist in the film he’s financing is hysterically funny. 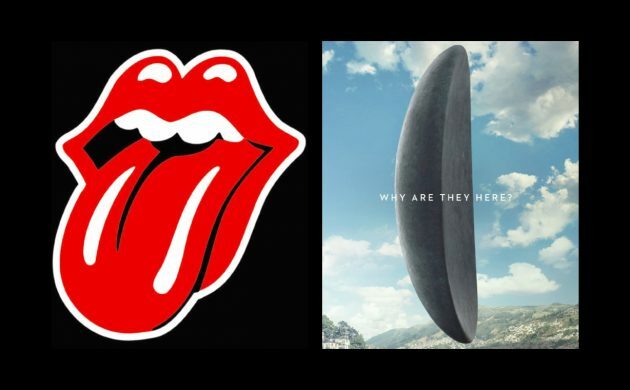 The 72 Metacritic rating for The Rolling Stones Ole, Ole, Ole: A Trip across Latin America (released on Nov 30), which follows the band’s historic tour across the continent to Cuba, is based on just four reviews, but they are arguably four of the most reputed publications in the world. Still, it just doesn’t sound cinematic enough to warrant a trip to the multiplex. Sci-fi film Arrival (81; Dec 1), in contrast, is a must-see. Let the steady hands of French-Canadian director Denis Villeneuve (Incendies, Prisoners, Enemy, Sicario) guide you through the kind of alien invasion film War of the Worlds threatened to be until the Spielberg slush machine took over in the final half an hour. It is both existential and exciting – the less you know about the plot the better. The cast, though, is an open book with the always dependable Amy Adams (picking up rave reviews – expect yet another Oscar nomination), Jeremy Renner and Forest Whitaker. But if there is a curveball it’s the rising star of Michael Stuhlbarg, who first got noticed playing Arnold Rothstein in Boardwalk Empire. Another likeable actor in the ascendancy, mainly because he’s so good at playing utter bastards, is Tracy Letts, who despite being named after an 1980s Essex girl is cornering the market for semi-smart, cantankerous, self-important middle-aged men. Just like Chazz Palminteri (who based A Bronx Tale on his childhood experiences), he playwrighted his way into Hollywood with several plays, including the Pulitzer Prize-winning August: Osage County. You might remember him as the director of the CIA in Homeland. As its score suggests, Indignation (79; Nov 24) comes recommended, but once again, too much plot could be a bad thing. As far as its big screen prospects go, it’s probably a safer bet waiting for this to hit Netflix, in all honesty. And the same could be said of the personal healing documentary The Space in between Marina Abramovic and Brazil (74; Nov 24). COMEDIES, on the other hand, are often more enjoyable in company, although going to see a film in Denmark that is very specific to the country of your upbringing – the Hunt/Lauda film Rush was the last one in my case – can render you completely out of sync with the laughter track the rest of the audience are following. No such problems with Hunt for the Wilderpeople (81; Dec 1), unless you’re a Maori juvenile delinquent or a cranky Kiwi bushman (Sam Neill – all is forgiven for The Tudors!). The trailer is laugh-out-loud funny – this is the film the heavy-going series The Lake could have been if they’d only played it for laughs. And Bad Santa 2 (Not Released Yet; Dec 1) – well we don’t really know how this is going to turn out. Rule of thumb: don’t see sequels and you won’t be disappointed, which ironically enough is why so many choose to see them instead of taking a risk on an unknown quantity. You can never write off Billy Bob Thornton – he’s gone from miss to hit to miss all his life, and we’re not just talking about his six wives. NO PARTS for Billy or Jonny Lee Miller in Brad Pitt’s new film Allied (NRY; Nov 24), but a film with all three of her ex-husbands, it’s coming – ‘Très jolie’ is the working title – mark my words! Apparently Pitt’s relationship with co-actress Marion Cotillard might have led to Pitt’s alleged altercation with his son on a private jet … yawn. Once again, the trailer gives the whole film away right up until the will they/won’t they last-minute moment, which is a shame, as it looks ten times sassier, sexier and smarter than Mr and Mrs Smith. MEANWHILE, over at Cinemateket, the next ‘Danish on a Sunday’ film (with English subtitles) is Drømmen om Danmark (Dec 4, 14:15). The Technicolour season continues with screenings of The Wizard of Oz (Dec 8, 16:30) and Gone with the Wind (Dec 4, 19:00), while the indie horror films since 1968 season is serving up the 1968 classic Night of the Living Dead (Dec 8, 22:00). But if it’s full-on family entertainment you’re looking for, you can’t look beyond the Disney season, which includes Snow White and the Seven Dwarfs (Dec 4, 16:00), Bambi (Nov 30, 18:45), Peter Pan (Nov 26, 12:30), The Jungle Book (Dec 3, 12:30), and the lip-smackingly good Lady and the Tramp (Nov 26, 14:15).